We’ll be starting in the middle in Alsip, IL at Freedom Park & heading west to Lemont, IL for brunch at Rustic Knead (http://www.rusticknead.com/). Those who wish to bike east after our return to Alsip can log more miles for the day. Bike as little or as much of the Cal-Sag Trail as you wish. Meet at 7:45am for an 8:00am start. 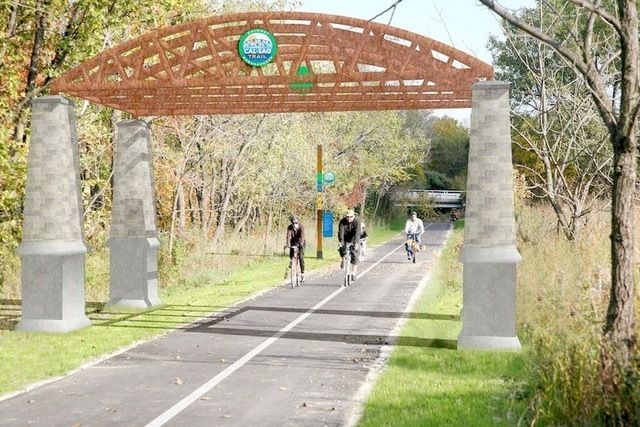 From Friends of the Cal-Sag Trail: Imagine a marathon trail (at just over 26 miles, we mean that literally) connecting across the Chicago Southland from Indiana and the Chicago Lakefront to Lemont, Illinois and the I&M Canal Trail. Imagine a channel that's seen its share of booms and busts becoming a destination for recreation, a nature corridor, and a driver of good health and high quality of life. Imagine discovering it was real. Welcome to the Cal-Sag Trail. Rustic Knead Website: Click here. For Parking Info: Click here .